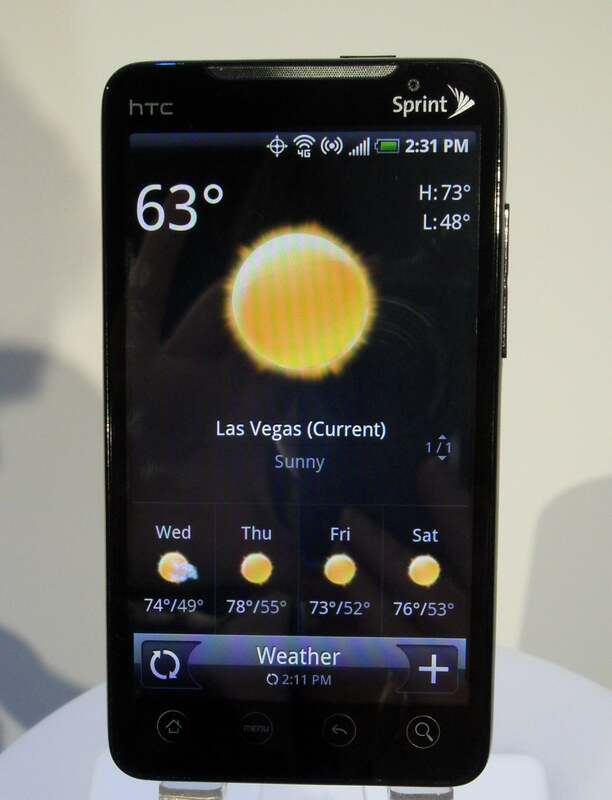 After months of rumors, Sprint and HTC's Android 4G smartphone is finally here. The HTC EVO 4G (originally codenamed "Supersonic") sports a 4.3-inch capacitive touchscreen with multitouch and runs HTC's updated Sense user interface over Android 2.1 mobile OS. With such a large display, the EVO is ideal for watching video. Not only does it support a wide array of video codecs, it also has HDMI output and comes with a kickstand for hands-free video watching. The EVO 4G also ships with an 8-megapixel camera with "HD-capable" video capture. Unsurprisingly, its powered by a 1GHz Qualcomm Snapdragon processor, also seen on the HTC-built Nexus One. Like the HTC Legend, Desire and HD2 Mini, the EVO 4G runs the revamped Sense interface. Launched at Mobile World Congress, the new Sense UI offers some useful new functions for easy navigation including a new feature called Leap. Essentially, Leap is an elegant way of handling multitasking; it's actually a bit reminiscent of Palm's webOS deck of cards visualization. Pinch anywhere on the homescreen, and you'll jump to seven thumbnail versions of your open pages. From there, you can go to any of those open applications or close out of one. Another new feature in a new widget called Friend Stream. It allows you to view your friends' status updates, shared links, and pictures all in one seamless view. Sprint says its 4G network delivers peak download speeds up to 10 times faster than 3G. While Sprint has been talking about its WiMAX service (via the Clearwire network) for a few years now, we haven't seen very many WiMAX-enabled devices outside of laptop cards and modems. At CES, Sprint announced the Overdrive 3G/4G Mobile Hotspot that will work with WiMAX networks, where available. The EVO 4G is coming this summer to Sprint, but pricing has not yet been announced. Check back soon for a closer look and hands-on review of the HTC EVO 4G.